Work positioners provide mobile surfaces enabling work in a variety of situations and scenarios where a permanent work surface proves impractical; for instance outside or in confined areas of factories or warehouses. Due to Tigers massive stock of with a value of over one million pounds, it is no surprise Tiger provides a variety of work positioners in order to supply your specific needs and requirements. 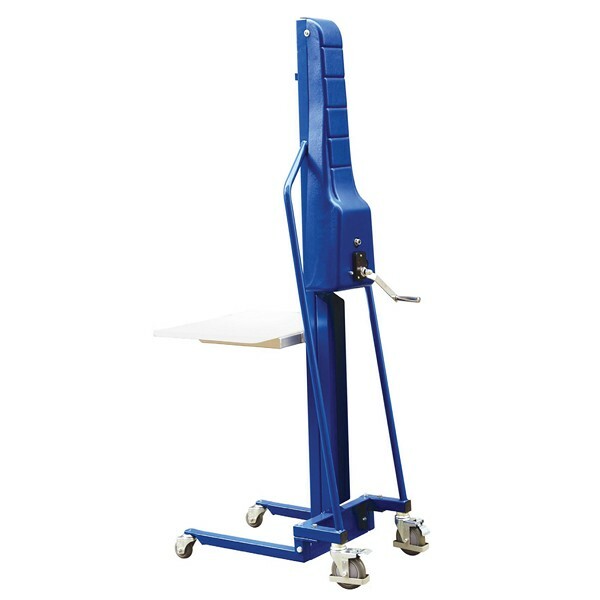 Lift tables; literally a surface which can be used for working on or for the lifting of equipment deemed unsafe to be lifted manually. This is achieved with scissor lifting action a work surface adaptable to various heights to provide a mobile workspace. 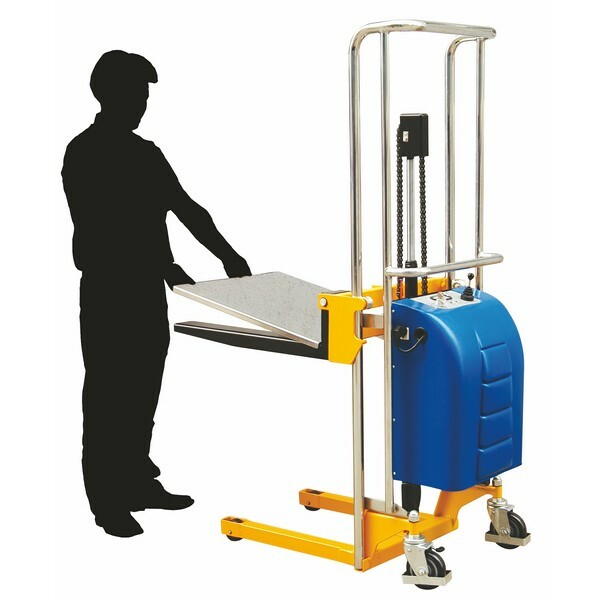 Tiger offers several varieties of the lift table, having a weight capacity from 150kg to 1000Kg, providing a manual lift table, easily adapted through manual hydraulics, utilised through the foot operated pump unit. 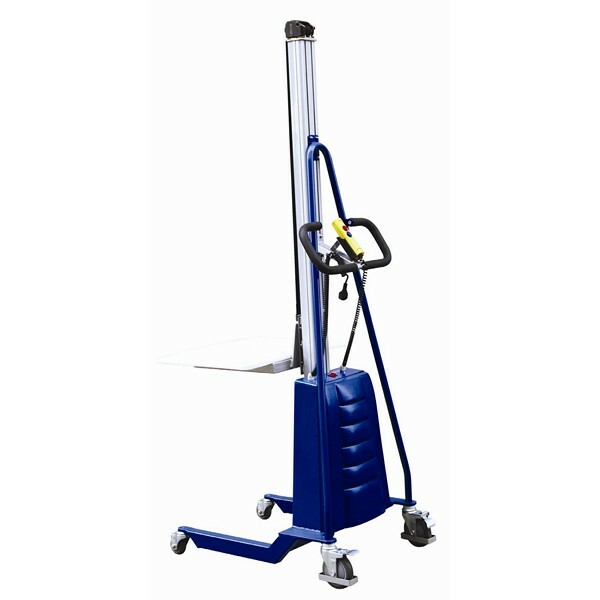 Automatic /Semi electric models are available: the Tiger semi-electric mobile lift table, lifting provided through a battery pack enabling hydraulic lift through the 800w lift motor. In terms of work Positioners we provide several varieties with a load capacity range of 150-200kg, all provide mobility in even the most confined areas through 4 swivel casters. All our models include a platform plate, however we also provide a wide range of attachments, for more information do not hesitate to ring our technical team on: 01384 895859, who will be only too happy to help. The two main varieties of work positioned we supply are manual: providing lift through a hand operated self sustaining winch, and electrical, providing lift simply through the push of a button, enabled by the electrically driven belt. However Tiger also offers work positioned to fit a unique role. For instance, the Tiger Reel Lifter, providing the easy movement of heavy rolls, with a foot operated pump allowing elevation to the required height for the easy provision or removal of reels and rolls. 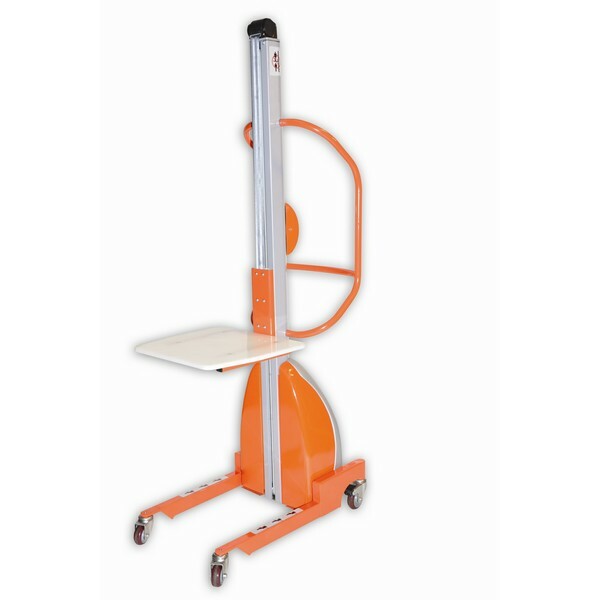 Tiger also stocks electric mini shelf stackers, with a 400kg lifting capacity; easily enabling and facilitating efficient low labour lifting, electrically powered through a 12 volt battery pack. Due to our massive range our stock Tiger can almost guarantee the provision of work positioners to your specific needs. If you are unable to find what you are looking for or have any queries please discuss these with our technical team on: 01384 895859, we pride ourselves on the knowledge and experience of our technical team, who will be more than happy to help you.